It’s 2016; we are 16 years into the 21st century and it has been great for Hollywood. We have seen unique and imaginative conceptualizations, great characterizations, intelligent blockbusters and niche art films gaining widespread attention. All in all, it would not be an understatement to say that cinema is having a great time and we feel it is high time we honored some of the greatest directorial achievements of the 21st Century. We are staunch supporters of the auteur theory and believe that a movie is ultimately the product of its director’s vision. So, we would like to celebrate some of the greatest auteurs of our times by listing the 10 best directed movies of the 21st century. 1. 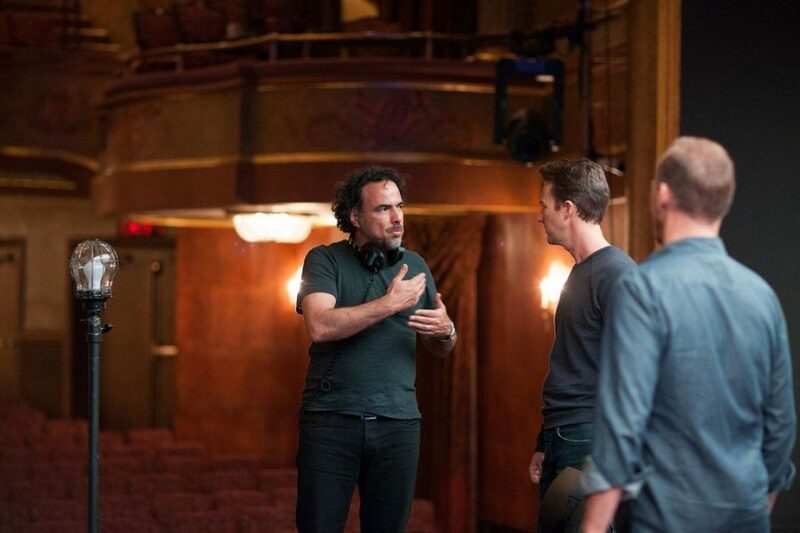 The movie should have the distinct mark of the director. 2. It should be apparent that the director went beyond his means in making the film. What this means is that the overall filmography was not considered while choosing a particular filmmaker. As a result, some of the most successful and prolific contemporary directors might not have made it to the list. Also, this is not a list of the greatest directors of the 21st century nor is it a list of the greatest movies. It is also important to remember I have only considered Hollywood movies. Therefore, even though there have great directorial achievements outside of Hollywood, I decided to keep things simple and not consider foreign language films. Now that I have made all the clarifications, let’s not waste any more time and dig in. Of course, your opinion may differ from ours and you are welcome to vent your anger in the comments section! I know we are cheating by including three movies, but anyone who has reveled in the magic of this magnum-opus knows that it is impossible not to look at it any other way. 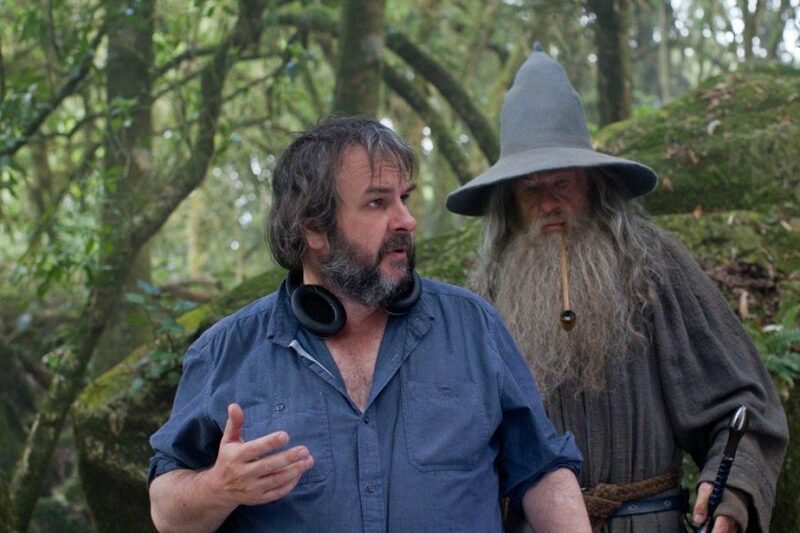 With universal critical acclaim for all three movies and a record 11 Oscars for the last movie (‘The Return of the King’), Peter Jackson redefined the fantasy genre for cinema with his adaptation of JRR Tolkien’s 20th century masterpiece. An epic cinematic journey, this 9-hour long adventure creates a world both visually stunning and emotionally sumptuous. A simple story of the victory of good over evil and the undying human spirit against all odds; ‘Lord of the Rings’ is the perfect example of movie magic – where the strong characters and the breath-taking locales transport you to another world. Peter Jackson is a visual storyteller, but unlike most conventional Hollywood tropes, there is an emotional core to his imagery, and that is what makes the trilogy all the more compelling. A landmark directorial achievement, ‘Lord of the Rings’ proved that great cinema would always resonate with people no matter how unorthodox it may seem, and that makes it one of best directed films of the 21st century. The darling of critics and audiences alike, Christopher Nolan is today known for his path breaking Dark Knight trilogy. 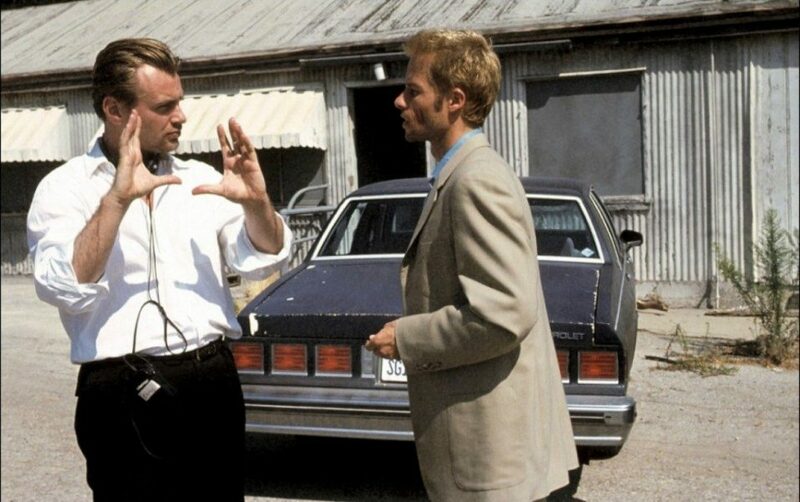 But long before he became known as the master of intelligent blockbusters; before he became the phenomenon he is today, Nolan directed ‘Memento’, a neo-noir psychological thriller about an amnesic man on a quest to avenge his wife’s murder. Armed with an exceptional screenplay developed along with his brother Jonathan, Nolan does something that has never been attempted in cinema before; he tells the story in reverse chronology with multiple narratives. Leonard, the protagonist suffers from short-term memory loss due to a head injury while trying protect his wife; he cannot make new memories so he writes stuff on his body and takes polaroid photos of people he needs to know about. It is a terrible way to live; and the only thing that keeps him going is vengeance; to find the man who killed his wife. Of course Nolan being Nolan, there are mysterious references to his past as an insurance investigator; this coupled with the deliberate lack of a straightforward narrative structure makes this a thrilling, edge-of-the-seat cinematic ride, which will leave you gasping at the end. Of course, many critics feel that the only thing going for ‘Memento’ is its narrative style, which was felt to be gimmicky. Actually, it is a stroke of genius, because it gets us into the head of Leonard; we feel as confused and helpless as he is. And this lends a personal touch to ‘Memento’ that most of Nolan’s subsequent films have lacked. And that, coupled with some brilliant editing and cinematography gives us a mesmerizing cinematic experience. And behind all the mind-bending plot points that people go gaga over, ‘Memento’ is also a subtle examination of the human behavior, and what keeps us going; which makes it an automatic entrant to this list. Undoubtedly one of finest filmmakers working today, David Fincher has had a distinguished oeuvre of cinematic works over the years. But, neither has he nor anybody else made anything as emotionally challenging and horrifying as ‘Zodiac’ in the last 16 years. Based on the notorious Zodiac killings in and around San Francisco in the late 1960s and early 70s, this procedural thriller follows two newspaper journalists as they attempt to unravel the killer. Fincher is no stranger to investigative thrillers, having already made one of the finest movies of the genre in ‘Se7en’, but ‘Zodiac’ comes off different from most other movies of the genre. The pace is noticeably slow; the atmosphere is very bleak and it does not build up to a huge climactic reveal. And, that works for ‘Zodiac’, because it captures the frustration of the detectives and journalists working on the case; we feel the same way they do. It is a not an easy scenario, when the killer all but reveals himself; sending cryptic ciphers to newspapers, taunting the police with little pieces of evidence, and yet he wasn’t found (the Zodiac killings remain an unsolved crime). The killer took a perverse pleasure in playing games with the police, and rubbing their noses on the fact that he could never be found. Despite its bleak setting, ‘Zodiac’ is an excellent study of the human psyche and the nature of crime. It is also no mean feat that despite never revealing who the killer is, the movie manages to get into our heads; as we try to understand the mind of a psychopath. And while the movie features a great screenplay and excellent performances, it is Fincher’s direction that stands out. There is an underrated quality in the direction; an eerie calm, which is unnerving in the midst of all the violence and deaths. When true crime stories are adapted, we expect answers; but Fincher stays clear of giving any straight answers, because the answer isn’t simple. Not all crimes are solved, not always do we find all answers, and Fincher makes us feel the frustrations that go along with quest for these answers; and that is what makes ‘Zodiac’ one of the finest films of the century. 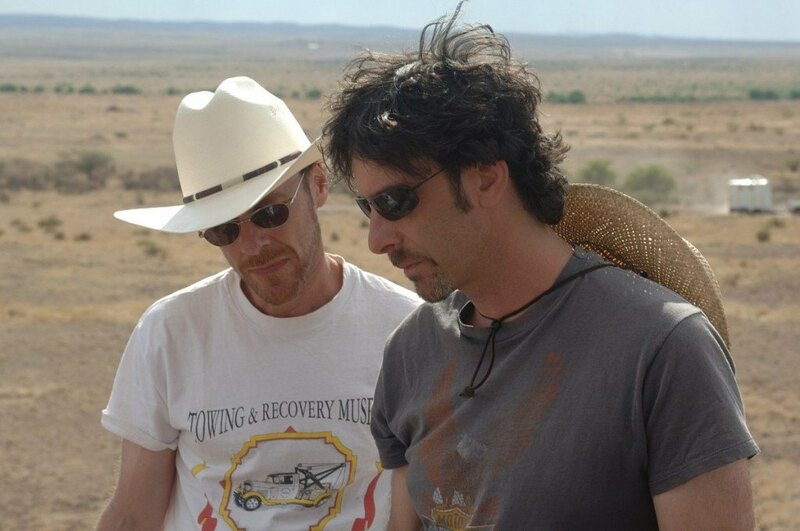 There is nothing conventional about what the Coen Brothers do; whether it is the neo-noir crime thriller ‘Fargo’ or the tripping black-comedy ‘The Big Lebowski’. They have a wildly original way of looking at things, and that has always contributed to their versatility and success. And with ‘No Country for Old Men’, they take an American Western and turn it over its head. The movie follows a ‘Nam veteran who finds a bag full of money in 1980 West Texas, which leads him down to a fate neither wanted nor denied. Film noir is a genre that the Coen Brothers have mastered over the years, and with ‘No Country for Old Men’, they fuse it in the midst of a classic Western cat-and-mouse chase. Llewelyn Moss, a welder and war veteran, finds a bag full of money after he accidentally stumbles upon the scene of a drug deal gone wrong; and as he takes the money with him, he is chased by a murderous hit-man for the money. Like most Coen Brothers’ classics, the plot, stripped to its bare minimum, is pretty much nothing. But, what makes their movies stand apart is their character driven approach and their underlying themes of fate, destiny and human nature. And ‘No Country for Old Men’ is no different, where its thematic elements are largely derived from how the different characters respond to their predicament. There is a weird and often perverse sense of humor that the Coen Brothers often employ in their movies, and that makes a return here, giving an edge to the narrative. 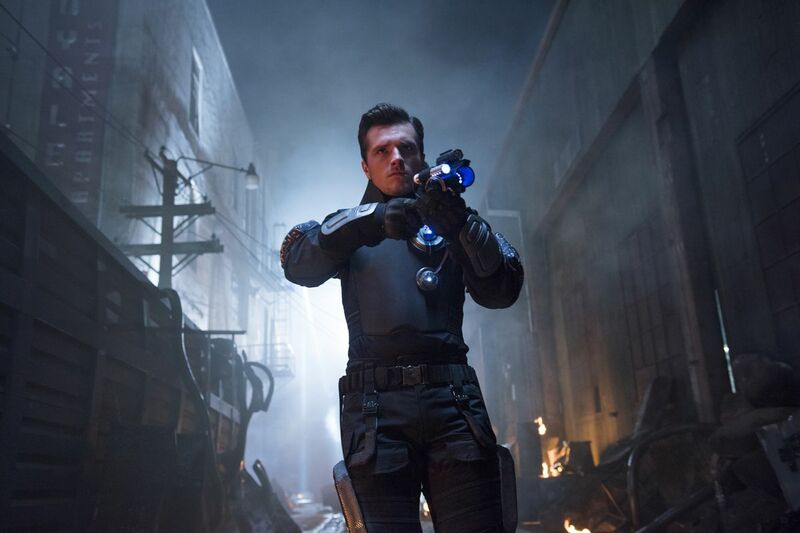 Add that to the brilliant cinematography by the legendary Roger Deakins, and what you have is pure craft. In many ways, ‘No Country for Old Men’ is a spiritual extension to their 1996 crime masterpiece ‘Fargo’; both films explore the fickleness of human behavior and idea of human-ness, with a villain who doesn’t seem to be quite human. But, despite the obvious thematic references, ‘No Country for Old Men’ stands on its own for its disturbingly honest portrayal of how greed drives the human condition; and nobody needs to be credited more than Coen Brothers, for what they created is pure, unbridled cinema. If not for anything else, Anderson deserves a place in this list for creating Daniel Plainview, a character so unpredictable and scary, it becomes unnerving. Blinded by his obsession with wealth and money, Plainview is a man with no rules, no boundaries; he even uses an unsuspecting little orphan to play his son so as to come across as a compassionate family man. And Anderson crafts the movie around him, giving a compelling portrayal of American societal conventions of family, faith and religion. No film since Orson Welles’ tragic masterpiece ‘Citizen Kane’ has managed to give us an American as compelling and complex as Plainview in ‘There will be Blood’; and that is no mean feat. 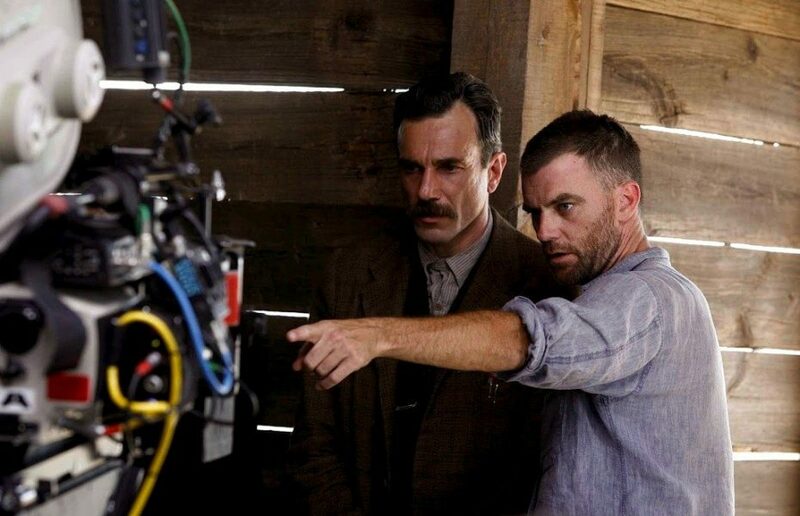 And armed with a career best performance from Daniel Day-Lewis, P T Anderson has crafted an enduring masterpiece that deserves all the applause it gets and then some more. No film since Stanley Kubrick’s epic space saga ‘2001: A Space Odyssey’ has captured the awe-inspiring visceral beauty of space as well as ‘Gravity’ has. One of the finest space adventure-dramas ever made, we at The Cinemaholic has always rated ‘Gravity’ miles ahead of contemporary space epics like ‘Interstellar’ (to chagrin of our readers!). With breathtakingly beautiful shots and near perfect execution, ‘Gravity’ takes us along in its journey through absolute beauty and utter chaos, leaving us mesmerized. Dr Ryan Stone (Sandra Bullock) and Matt Kowalski (George Clooney) are stranded in space after the mid-orbit destruction of their space shuttle during a satellite debris shower, and as they attempt to maneuver through all the chaos and obstacles in an attempt to return home, they wade through philosophical questions of life, existence and grief. 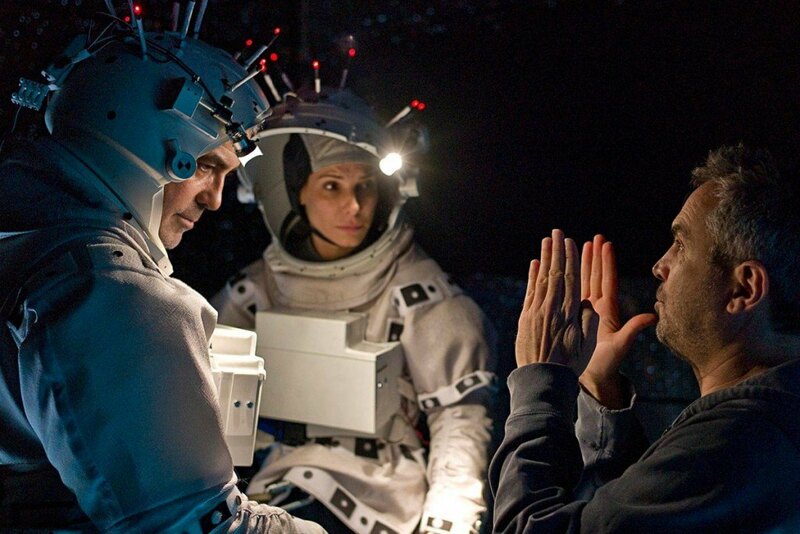 Cuarón is a director who handles his art with utmost seriousness; he has always managed to raise complex existential and philosophical questions through his movies, and ‘Gravity’ is no different. It may seem to many to just be a technological feat and a visually awe-inspiring journey; but it is all that and then some more. A lot of motifs revolving around life, death and pain play around throughout the film, as we feel the pain that Dr Stone is going through, which was almost impossible to discern in the beginning. And that is what makes the journey in ‘Gravity’, not only exhilarating in a visceral sense, but also profoundly emotional. A criticism that is frequently thrown at ‘Gravity’ is that it is bland; that there is very little happening. This charge couldn’t be farther from the truth as ‘Gravity’ is arguably the most emotionally powerful space epic ever made; what starts out to be a space adventure turns into a contemplation of the intricacies of life and existence. What it means to just exist, to float through existential limbo, to just move on with your life when the very essence of your existence is stripped off; ‘Gravity’ manages to make us feel that dread like few films ever have and therein lies its beauty. ‘Gravity’ might probably not be Cuarón’s best film (I would give that to his 2001 Mexican coming-of-age drama ‘Y Tu Mamá También’), but few films have pushed the boundaries and landscape of cinema as much as ‘Gravity’ has and that is what puts it in this list. It doesn’t happen very often that two of the finest cinematic achievements of the century come out in the same year competing for the top honors at the Academy Awards. But 2014 was that year; and despite all popular expectations, it was the Mexican filmmaker’s Alejandro J Iñárritu’s dark comedy ‘Birdman’ that emerged out at the top. A hilarious ride into the heart of stars and stardom, ‘Birdman’ is probably the most intelligent and twisted comedy to come out of Hollywood in years. The story of a fading Hollywood star struggling to mount a Broadway adaptation, ‘Birdman’ takes a fresh approach in attempting to understand the mind of a star. Riggan Thomson (Michael Keaton) was once amongst Hollywood’s biggest stars, having played the superhero ‘Birdman’ in a series of films, but his stardom and popularity has withered away over time, leaving behind a forgotten icon. 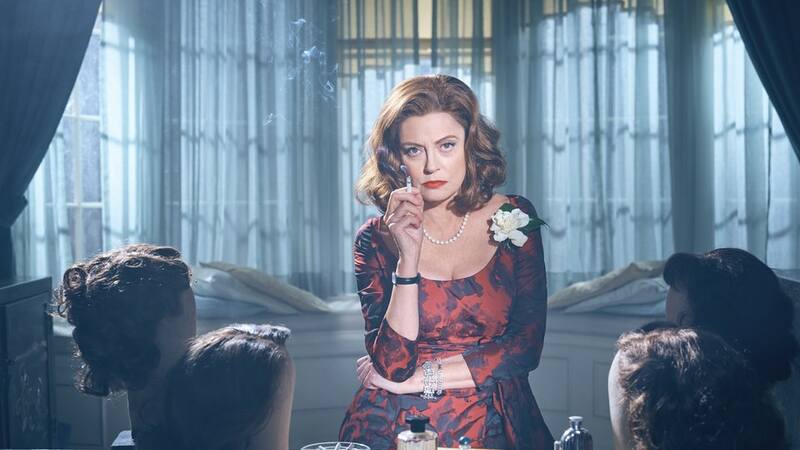 He attempts to regain some semblance of respect by making a comeback in theatre by writing, directing and acting in the Broadway adaptation of a short story. As he tries to push through his pet project in the midst of all the chaos around him; his failing relationship, the huge surge in popularity of his co-star and the friction between his daughter who is a recovering drug-addict, we see Riggan slowly lose control of his subconscious, as his hallucinations take control of his life. The tone and theme is pretty dark and poignant, but Iñárritu infuses raw energy into the proceedings, making it an exhilarating cinematic ride. With the entire movie being set in a single scene thanks to Emmanuel Lubezki’s breath-taking cinematography, the movie creates an illusion that the audience is right in the screen; as if we are holding the camera and following the characters as the plot unravels, making our experience even more personal. But, despite being hailed as a technical marvel, it is ‘Birdman’ ’s thematic elements that makes it cinematically alluring. Few movies have successfully managed to portray the fickle nature of stardom and success as well as ‘Birdman’ has; we see how Riggan’s subconscious spirals out of control as he sees his last chance at redeeming himself slipping through his fingers. The movie also manages to highlight how comic book movies have slowly destroyed the sanctity of cinema as an art form in the quest for instant success. All in all, ‘Birdman’, with its technical prowess and strong thematic quotient, takes you on a thrilling cinematic ride, treating you with an experience unlike none other. The first time I saw ‘Boyhood’, I wasn’t enamored by it. Don’t get me wrong, I did like it, but for a movie that is probably the most critically acclaimed of all time, I didn’t feel the magic. Fast forward a year; I had a second viewing. And this time around, I was left without words, because what I saw wasn’t just a movie; it wasn’t just art; it was life itself. Shot over 12 years (it is longest shot film in the history of cinema), ‘Boyhood’ chronicles the childhood and adolescence of Mason Evans Jr, from ages 6 to 18 as he grows up with his elder sister in Texas with divorced parents. Featuring the same actors playing the characters over a 12-year period, ‘Boyhood’ induces pure, immaculate movie magic unlike anything else, making us laugh, cry and ponder over our own existence. Richard Linklater is among the few Hollywood filmmakers who have always managed to put across complex human emotions in the simplest of ways. Whether it is his romantic tour-de-force, the Before Trilogy or his hilarious yet thought-provoking homage to 1960s American teenage in ‘Dazed and Confused’, Linklater has always managed to push cinema to limits we never knew existed. But with ‘Boyhood’, he takes the proceeding to the next level; we watch as we a little boy growing up from a wide-eyed curious 6-year old to a mature 18 year-old in the span of two hours. We sit and watch as he, along with sister, deals with the small yet significant complexities that life throws at them; we see them falter, making mistakes, falling in and out of love, as they grow older. Our Editor-in-Chief noted in his review back in 2014 that ‘Boyhood’ is as much about parenthood as it is about boyhood or girlhood and it couldn’t be more true. It is not only the children that are growing up, it is the parents too; we see them as they age, see them through their immaturities and their imperfections as they wade through life. Ultimately ‘Boyhood’ works on so many levels to become a complete cinematic experience, one that will stay with you for ever. It evokes our own memories of growing up, the little moments of joy and sorrow that may seem insignificant, but what ‘Boyhood’ really shows you is that life is nothing but a sum of these little moments; that is what matters ultimately. ‘Boyhood’ also reminds us of our bygone years of growing up, a time when we were naïve and uncorrupted by the world, when our imagination had no limits and when we were unfettered by what life had to offer. ‘Boyhood’ is undoubtedly Richard Linklater’s magnum opus, the movie he has been working to all his life, and it aims for nothing but absolute greatness, and great it is. Few movies have captured the fleeting moments of life as well as ‘Boyhood’ has; few movies ever will. It is not easy to talk about a movie like ‘The Tree of Life’, and it has little to do with the fact that the movie is not an easy one to understand. More importantly, I do not think my meager words would do justice to the journey that is ‘The Tree of Life’; a journey deep into our own souls. Cinema just has an entertaining value for most people, and then, once in a lifetime, comes something as emotionally powerful and philosophically opulent as ‘The Tree of Life’, which reaffirms cinema’s position amongst the finest artistic expressions ever. Helmed by the enigmatic American auteur Terrence Malick (his fifth movie in four decades), ‘The Tree of Life’ is an experimental philosophical-drama about a middle-aged man reminiscing his childhood with his parents and brothers in 1950s Texas. Pretty straight-forward, huh? Well, that’s not all; these memories are juxtaposed with breath-taking visuals showing the formation of the universe and the inception of life. Hell, it even has dinosaurs; and only a genius like Malick could bring all these (seemingly) unrelated fragments to create something as pure and profound. Without any conventional plot and narrative structure, ‘The Tree of Life’ encompasses the fragmented memories of a middle-aged man, Jack O’ Brien, about his childhood with his authoritative father (Brad Pitt) and his ethereal mother (Jessica Chastain), and his internal battle between the two ways of life embodied by his parents, the way of grace (Mrs O’Brien) and the way of nature (Mr O’Brien). As Jack grows up amongst his parents and siblings, he goes through a plethora of emotional and moral turmoil as tries to understand his life and existence. ‘The Tree of Life’ evokes the most primitive of human emotions – love, hate, confusion, jealousy, compassion, elation, desperation, pain, guilt and desolation; all the while asking telling questions on our place in the world. I am sure all of us have at one point or other in our lives wondered about our lives and existence; whether it all means something, or are we just a freakish coincidence of the universe, fleeting through life. Of course, we have all wondered about the idea of “god”; whether that entity actually exists, or is it just an imaginative concept we made up to cover up for our own weaknesses. These are questions that have always racked our brains; some claim to have already found answers, while others (including me) are still searching. Malick taps into all these unanswered existential questions, through the prism of a man who could well be Malick himself, or any of us for that matter. ‘The Tree of Life’ is a spiritual journey that requires you to surrender yourself to it; unhinged and uninhibited. It requires you to be vulnerable, so that it can wash over you. And if you do, it could be an ethereal experience. I am an atheist, yet I can say with conviction that ‘The Tree of Life’ changed my life. How many movies have that power? Perhaps the fact that he was a painter long before he forayed into film-making helped David Lynch steer clear of the conventional film milieu. Unlike cinema, paintings never really give you any answers. There is a mystical quality to them, where there are multiple answers, and no one explanation is right or wrong. It is this artistic philosophy that Lynch brings to his film-making, where his films are all what we make of them. And while most of his films tread the fine line between real and surreal, ‘Mulholland Drive’ is film-making taken to a whole new level. The movie has played an important role in my life; it made me realize the power of cinema and what it is capable of as an artistic expression. A psychological mystery thriller, ‘Mulholland Drive’ was released in 2001 at the Cannes Film Festival, opening to one of the most polarizing receptions in the history of the festival; people either loved it or hated it. And much of it has to do with Lynch’s trademark cinematic style, which are replete with weird, surreal imagery, dark complex themes and numerous visual motifs, which makes it nearly impossible to decipher on first watch. The plot, stripped down to the bare minimum, is about a young, aspiring actress new in Hollywood who helps a strange amnesic women find her true identity. However, as they embark on this journey, we are treated with seemingly unrelated vignettes and events which leads up to a climax that could shock you beyond words. 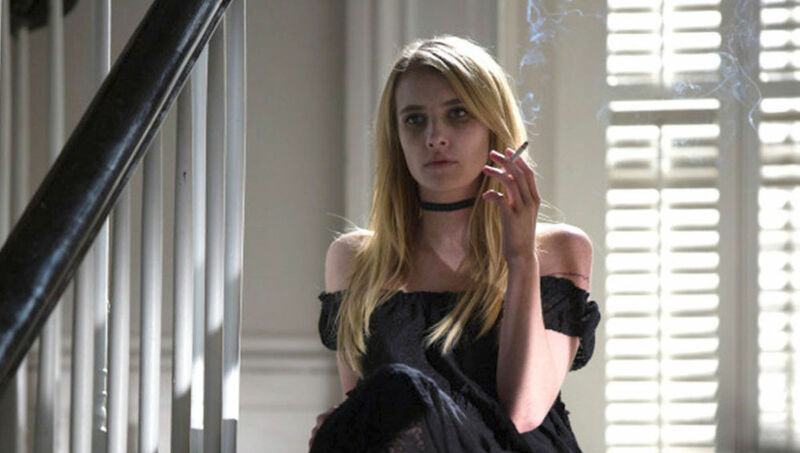 A lot people love ‘Mulholland Drive’ for the puzzle; the internet is full of articles, explanations (We have one of our own here) and fan theories about what actually happens. But for me, it is not about the puzzle; yes, I have my interpretation of the plot, but that is not what makes the movie great. It is Lynch’s brilliant insight into the human psyche that really gives me the chills. We can only watch in absolute shock as identities change and characters overlap as a young, guilt-ridden woman tries to make sense of her life. ‘Mulholland Drive’ also borrows its themes heavily from the Billy Wilder classic ‘Sunset Boulevard’ (admittedly, Lynch’s favorite film); both films have an uncomfortable and uncompromising view of the film industry and the idea of success and stardom in particular and how it can push you to limits otherwise unimaginable. But above all else, Mulholland Drive is an ode to cinema itself. In his own inimitable style, Lynch displays what art and cinema in particular is – it is a manipulative farce. Cinema makes us love, laugh, cry and root for people we know don’t exist – Why? What is it that makes us feel so much about something that is make-believe? Because that is what art is, that is what cinema is; it is make- believe. And that is what an artist does; he manipulates his audience; he taps into our deepest feelings, in an attempt to make us emotionally respond to his work. And Lynch uses that to great effect in Mulholland Drive; he sets a hollow, almost parodic tone to his film. So when he finally pulls the rug from under our feet; we are left with our mouths wide open, because we know we were duped. But the thing about ‘Mulholland Drive’ is; here, the manipulation is not just a plot device, Lynch wants to know we are being manipulated. And he even uses the brilliantly executed Club Silencio scene to drive home his point. Despite all the negative-ness that has come its way, I can say with conviction that ‘Mulholland Drive’ is arguably the most impactful film of the century; even the ones who hate it can’t get it out of their heads. And more importantly, ‘Mulholland Drive’ is David Lynch’s magnum opus; the cinematic crescendo of an underrated genius at his very best. And while the brilliance of ‘Mulholland Drive’ is by no small means thanks to Naomi Watts, in one of the finest performances in the history of cinema; ultimately the film belongs to David Lynch. 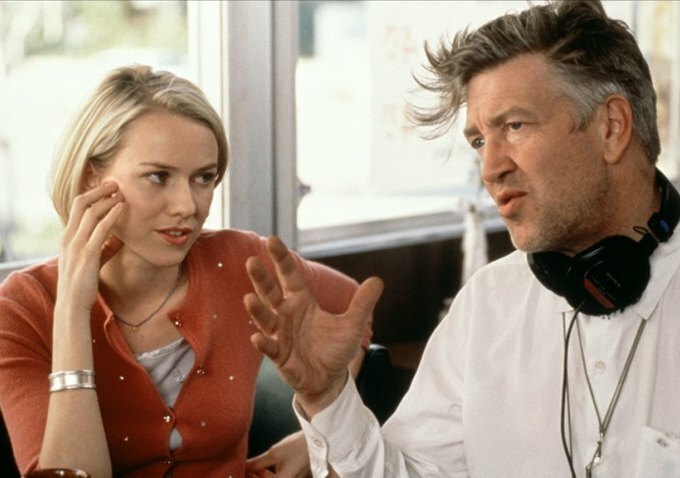 With Mulholland Drive, he has made a movie about movies that best depict what they are, and that is no mean feat. Dear Editor, I do not know what is in your mind and how many movies you have seen in your life. Please stop changing name of your article by just saying best movies of century, best directed movies, best reviewed, best of this and that..blahh blahh.. Kindly watch some good random movies as well, you will find a lot of other movies to keep on these lists. You have been keeping same movies, same script in each of your list. i am now getting tired of reading same thing again and again, I had really high hopes when i followed your page but now I think it is time to move on to find some other scripts and lists. I hope you understand that this is not a irrational comment. Kindly elaborate on what you mean by “random” movies. And as the author of this piece, I challenge you to find another article in our website that have the same write-ups. Every article is thoroughly researched and written with a lot of effort, and while we’re willing to hear out all kinds of criticism, accusations of complacency is not acceptable, especially since it is unfounded. I hear you, but let’s be honest. You sound disgruntled because your favorite movie or director wasn’t included in this list. Because as far as I know, and as Nikhil points out below, there isn’t a single movie-related website that make lists with the conviction and diligence as we do. We don’t believe in just writing synopsis of the plot when we list down movies as most of the other list making websites do. Our write-ups consist of perspective of the author. Also, there is a very simple reason as to why some of the movies are repeated across several lists: because they are really good. We won’t exclude a movie from a list just because it appeared on some other list. So, my advise is: try other websites. Not just try but compare our work to theirs. You will get your answer. Interesting list, but The Prestige is a much better film than Memento, and where the hell is Gangs of New York? The Imaginarium of Dr Parnassus? And how the hell are Synechdoche, New Jersey and Eternal Sunshine of the Spotless Mind also-rans in comparison to the LOTR trilogy which is nine hours too long, and Zodiac which is a triumph of empty formalism? Pacific Rim. A magnificent majestic awe-inspiring movie. So many films, you know. I think it has to do with the emotional connection, ofcourse with the characters, but also when on can connect or empathise with what a director is trying to articulate in a film, making us forget everything.